9. Grow my blog | I suppose that technically my blog has grown since last year, but not much. I'm not crossing this one off yet! 12. Finish designing and decorating one room in our house | Most all of our rooms are close, but not quite to my liking just yet. This one stays uncrossed, as well! 6/30 isn't bad progress. I've got 18 months left- let's see what I can do! 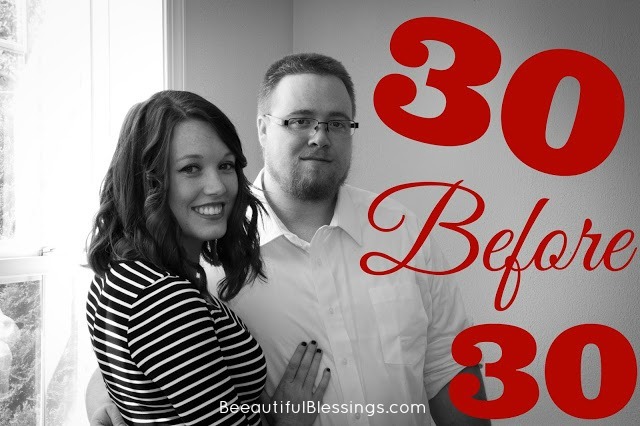 Do you have a 30 before 30 bucket list?